The Olympathon online donation site (thegetmovincrew.com) will be up through the weekend accepting online donation until Monday, October 10, at midnight. Checks and cash will still be accepted through October 20. Students can still earn prizes from online donations through Monday or checks/cash until Tuesday, October 11, at 8:30am. After we have entered all checks/cash donations on Tuesday morning at 8:30am, we will run final prize reports. Tons of prizes have been given out, including scooters and a digital camera. There’s still more out there, so don’t give up! We are at about $27,000 of our $45,000 goal, and we need your help! We have issued a challenge to every student to find/secure just $10 more in new pledges over the weekend. If every student at Phillips brings in a new $10 donation, we will be close to our goal, which means pies to the faces of the Specials teachers! Our students are super proud of mastering this course, and they had a great time! Check out and share this professionally produced video of highlights from the Olympathon. You can use it to gain those last few donations! And don’t forget! You can still get those Olympathon donations in! Online donations are open until October 7; cash and checks can be turned in by October 20. Parents and students! Get yourself revved up for the Olympathon obstacle course on Friday, September 30. This is our biggest fundraiser of the year — along with being lots of FUN! 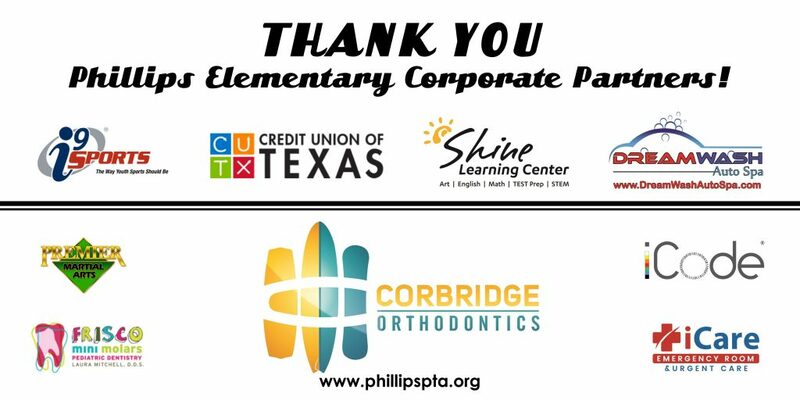 We encourage you to get your family and friends involved in support of Phillips Elementary. Plus, students can win some great prizes for several donations levels! Donations can be done online until October 7, and via cash or check until October 20. The Olympathon will be held in the Phillips field during each grade’s Specials times. Check here to find out when to be there. Come join the fun and excitement. We look forward to seeing you! Parents and students! There are a lot of fun and exciting things happening this week at Phillips Elementary, including Curriculum Night on Tuesday, September 27, for Kindergarten-2nd Grade and 3rd-5th Grade, the Olympathon fundraiser event on Friday, September 30, and more. Be sure to check the calendar for these and other upcoming events. Remember to donate to the Class Party Fund by Friday, September 30, as class parties are budgeted for the entire year based on the amounts collected. Parents! Friday, September 23 is your last chance to fill up your child’s treasure chest from the Bookaneer Book Fair. The library will be open 6:45am – 12:30pm. Come by and shop or send money with your little buccaneer (don’t forget to include tax!). Dads! 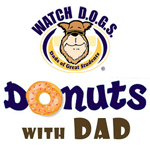 Don’t forget to have a hearty morning donut and sign up for WatchDOGS. Get involved with your child’s educational experience at Phillips. Donuts with Dad will be held in Pod 2 (2nd/3rd Grade) from 7 to 8am. See you there!